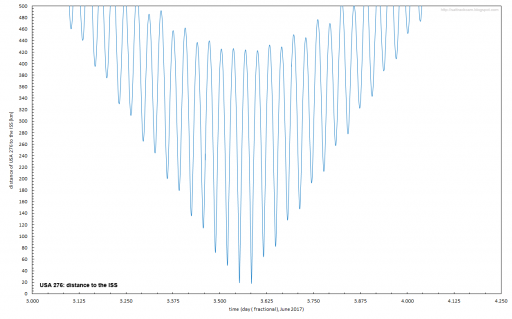 Secret NROL-76 Satellite crosses Paths with ISS – Coincidence or Deliberate? The clandestine NROL-76 satellite launched one month ago by a Falcon 9 rocket is making a series of close passes by the International Space Station on Saturday, potentially coming as close as 12 Kilometers. It is not yet clear whether the close encounters are a coincidence or were deliberately set up but the event nevertheless caught the attention of observers who will keep close watch over the mysterious spacecraft’s behavior. 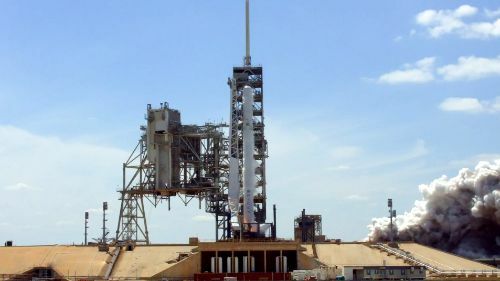 Operated under the auspices of the U.S. National Reconnaissance Office, NROL-76 – also known as USA-276 – is operating almost in complete secrecy. The NRO acknowledges the craft’s existence, but shares no details on its purpose and orbital trajectory as is standard for NRO missions that cover various aspects of intelligence-gathering, technology demonstrations and secure government communications. NROL-76 was the first major NRO satellite to be launched by SpaceX, blasting off on May 1st atop a Falcon 9 rocket, taking the craft into its secretive orbit. Safety zones identified for the launch suggested the hush-hush payload was headed into a Low Earth orbit at an inclination around 50 degrees and a global network of satellite trackers went into action to try and spot the newly launched craft to get a fix on its orbital parameters. NROL-76 was spotted for the first time on May 23 and satellite trackers quickly coordinated to capture more observations in order to obtain precise orbital parameters that were refined over the last two weeks, showing the satellite in an orbit of 388 by 411 Kilometers, right at the expected inclination of 50.0 degrees. Brightness of the craft indicates it is a sizeable satellite which is no surprise given the choice of launch vehicle. 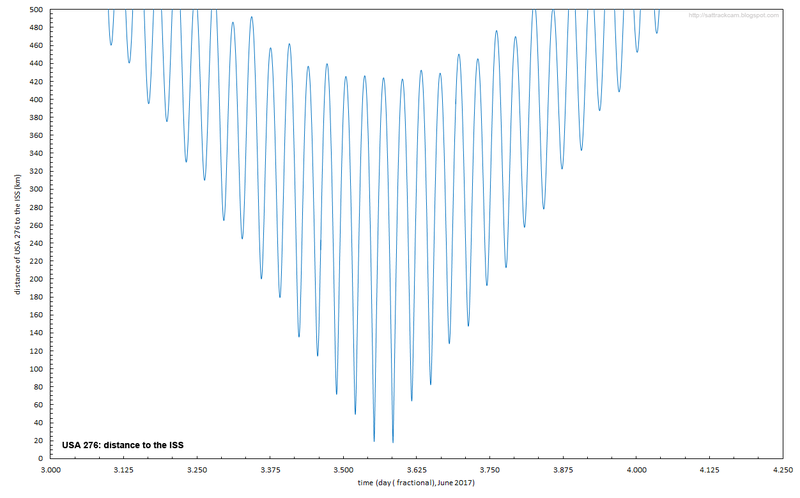 This particular orbit came as somewhat of a surprise as it was particularly close to that of the International Space Station, intersecting the Station’s orbital plane inclined 51.6 degrees and also matching the ISS altitude (402 by 408 Kilometers). 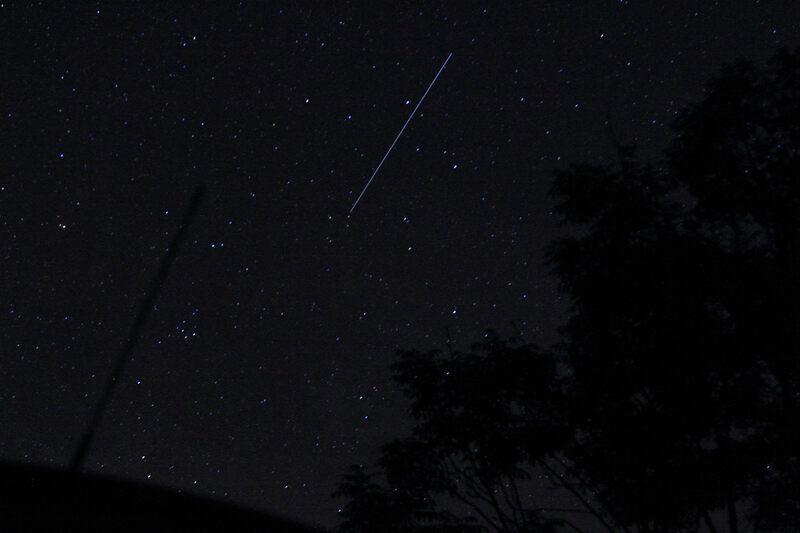 The initial orbit of NROL-76 had a planar shift of around 0.2 degrees per day relative to the Space Station and propagating of the orbital geometry showed NROL-76 would have a series of close conjunctions with the ISS around June 3. Per the latest tracking data from both objects, NROL-76 makes its closest approach to ISS at 14:01 UTC on Saturday over the southern Atlantic at a distance of approximately 12 Kilometers. A total of six approaches between 11 and 16 UTC will see the two objects come within 100 Kilometers of one another. This animation shows the relative geometry between the NROL-76 satellite and the International Space Station on June 3, 2017 between 11 and 16 UTC. The big question that arose after these conjunctions became known and still remains unanswered is whether the close passes were set up deliberately (for instance to test a rendezvous system or Space Situational Awareness sensor) or if they happened by chance and NROL-76 headed into an orbit optimized for its own mission which just coincides with the Station’s current orbit. An answer to this question should be available in the not-too-distant future based on NROL-76’s activity. Should the satellite’s mission require frequent or prolonged proximity to ISS, NROL-76 would have to make elaborate maneuvers to either enter a Stationkeeping pattern by making a plane-change or set up another rendezvous through alteration of its RAAN precession. With the present precession of ISS and NROL-76, a second rendezvous similar in geometry to Saturday’s close passes would not come for another five years (some sporadic proximity passes would occur occasionally). Therefore, should NROL-76 be interested in more encounters with ISS, it would have to alter its precession by either lowering or raising its orbit and then move back into an ISS-like orbit. 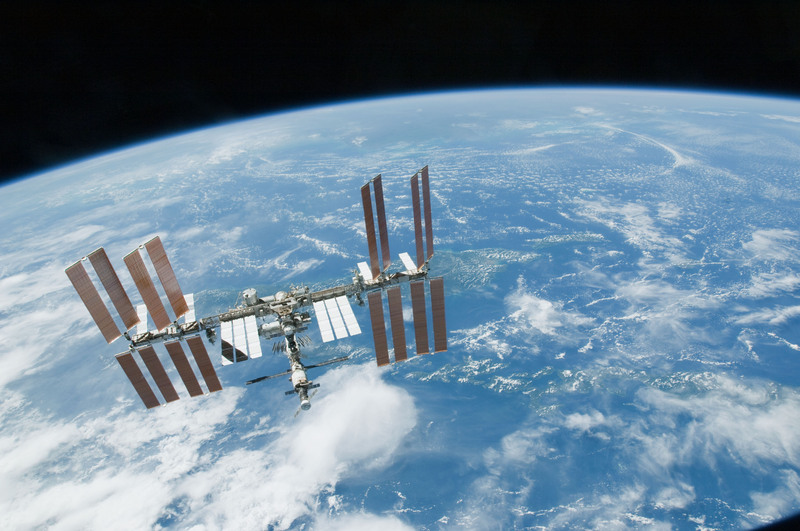 The possibility of a secretive satellite making close passes of ISS led to much discussion and speculation on its purpose. Not much is known about NROL-76 as is the case for any NRO mission, but some details came to light prior to launch. NRO officials disclosed that NROL-76’s ride to space was procured through Ball Aerospace – most likely in a ‘delivery in orbit’ contract scheme under which Ball is responsible for satellite development, production, testing, launch and in-orbit testing before handing the product to the customer. Ball has built a reputation for small- and medium-class LEO satellites and high-resolution optical instruments flying on Earth-orbit and interplanetary missions. 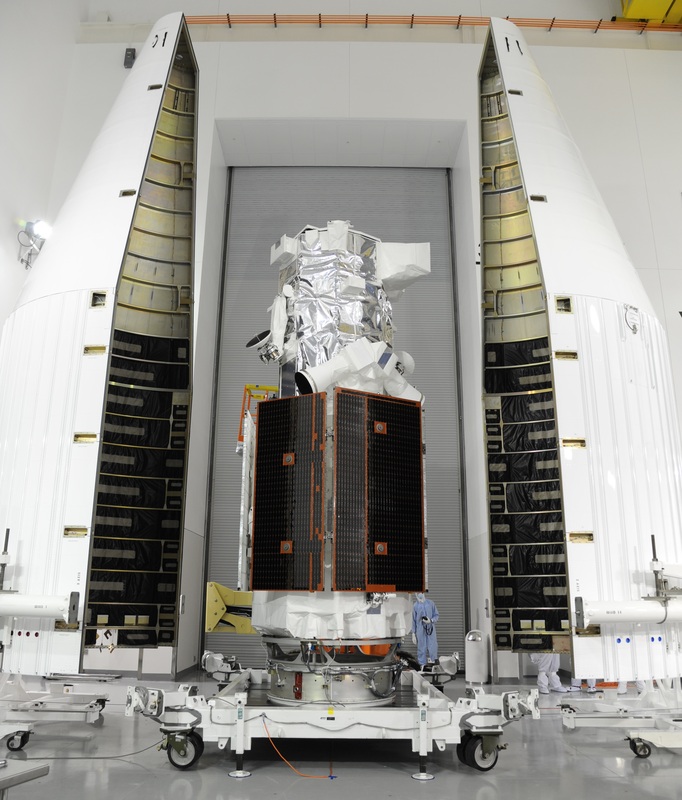 Therefore, a reasonable assumption was NROL-76 being either an optical or radar satellite (based on Ball’s BCP-4000 or 5000 platform), most likely carrying out a technology demonstration mission of a sensor package to retire risk for a future NRO program. However, Ball also developed space-based systems for autonomous navigation in recent years which could add merit to the theory of NROL-76 carrying some sort of Space Situational Awareness or navigation payload using ISS as a target. 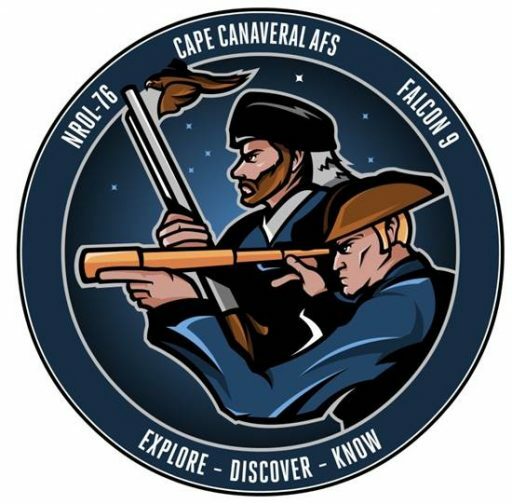 One speculative theory raised by satellite tracker and analyst Dr. Marco Langbroek ties a connection between NROL-76 and the Space Station’s Raven rendezvous navigation pathfinder which was also built by Ball Aerospace. 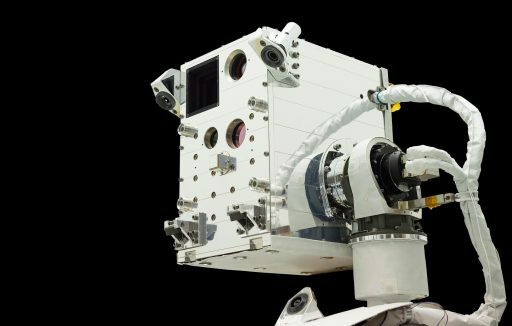 Raven, part of the Space Test Program – Houston 5 payload pallet, combines a laser-based flash LiDAR (Light Detection and Ranging), a fixed-pointing camera and a SpaceIR Infrared camera to track the 2D and 3D signature of ISS visiting vehicles for testing of the sensors in an operational environment to reduce risk for future autonomous rendezvous systems. Raven’s SpaceIR camera is designed to acquire targets as far out as 40 Kilometers. NROL-76 will come to within 20 Kilometers, so it is theoretically possible for Raven to track the satellite for several minutes around the close approaches. Whether that is the purpose of the close passage is relatively doubtful as Raven will get much better data from the comings and goings of ISS cargo and crew vehicles, many of which will occur over the course of the payload’s projected two-year operation. Though the possibility remains that NROL-76 aims to test Raven’s capabilities by flying a unique trajectory not used by any of the ISS visitors. Additional discussion by analyst Ted Molczan covering the orbital mechanics & non-planar launch window of the NROL-76 mission. Space Situational Awareness is an area that received much attention due to ongoing space militarization efforts undertaken by several nations. Russia, China and the U.S. operate satellites that regularly park in close proximity to communications satellites in Geostationary Orbit to vacuum up the vast communications passing through them for intelligence-gathering purposes. Lower in altitude, satellites from Russia and China were involved in a series of experiments ranging from rendezvous with other space objects to actually manipulating another object in orbit. Consequently, with threats of ‘killer satellites’ and in-space eavesdropping, there is great interest in monitoring adversarial satellite activity through ground and space-based situational awareness sensors. NROL-76 – if indeed using ISS as a target – may be the latest clandestine demonstration of in-space intelligence gathering. 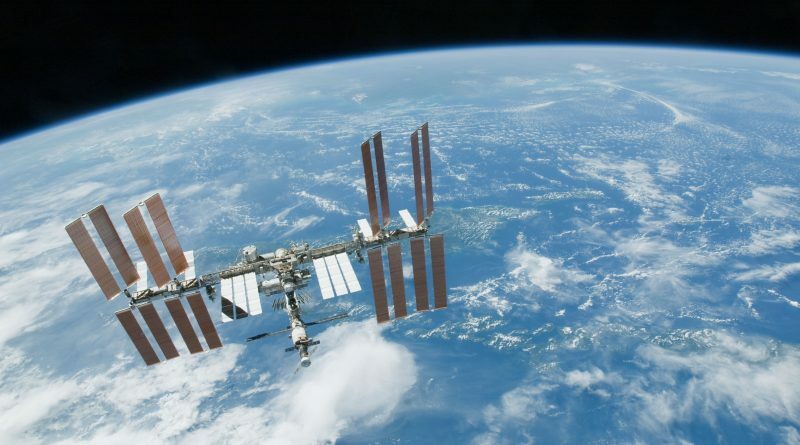 The use of ISS as a target vehicle would certainly be a novelty, coming with potential political ramifications as the Space Station is not a U.S.-owned spacecraft. This fact alone would be a likely factor for the NRO to disguise NROL-76’s close flybys as coincidental. On the flip-side, having a classified satellite pass close to another camera-equipped spacecraft could expose potentially secret technology to prying eyes. 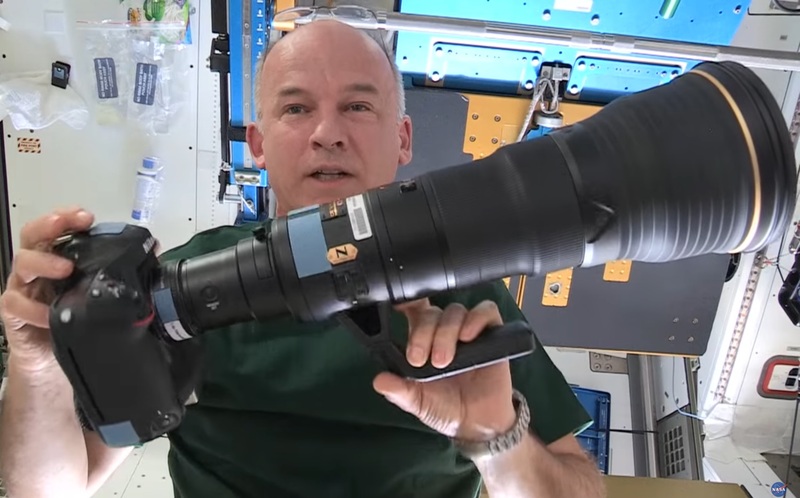 Available aboard ISS are 1150mm camera lenses which could be used to capture photos of NROL-76 at the moment of closest approach. Such still imagery would depict a BCP-5000-sized satellite body around 75 pixels in size – not enough to make out specific details but sufficient to show the craft’s general shape and any large components like the sunshade of an optical imager, a deployed Synthetic Aperture Radar Antenna or large dishes used for signals intelligence. How the mission of NROL-76 plays out should become clear in the coming weeks and months through its orbital maneuvers. If the satellite continues to maintain its present orbit with regular maintenance maneuvers to counter drag, the most probable conclusion would be that Saturday’s flybys were coincidental. A maneuver toward a re-rendezvous with ISS (such as a plane change) would make it clear to any outside observer what NROL-76 was up to. June 3, 2017 Patrick Blau Comments Off on Secret NROL-76 Satellite crosses Paths with ISS – Coincidence or Deliberate? 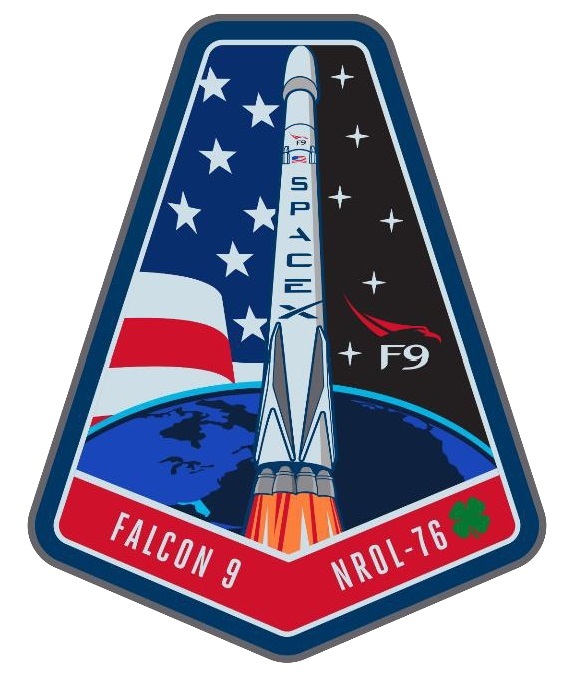 Copyright © 2019 Falcon 9 – NROL-76. All rights reserved.